‘Choose life,’ Renton says. ‘Choose a job. Choose a career.’ And all the things that go with it. All the cares, worries and petty concerns. Or make a starker, simpler choice – where the next hit is going to come from. 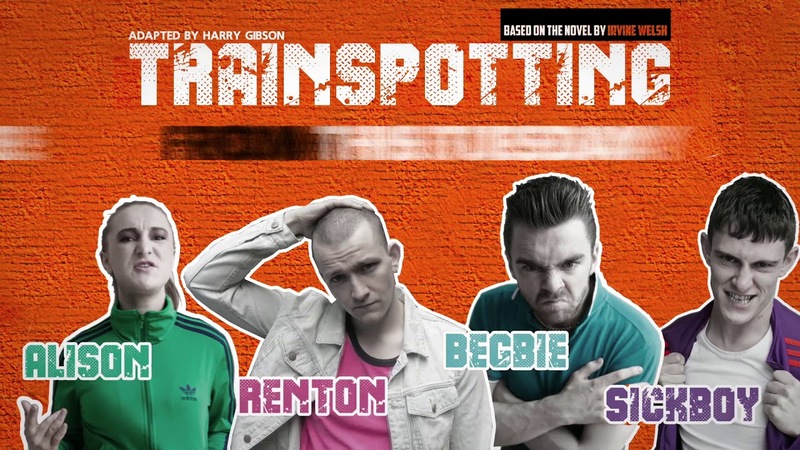 Irvine Welsh’s cult hit Trainspotting dissected the lives of those in early 90s Edinburgh who – faced with economic hardship and social inequality – made that latter, electrifying and ultimately devastating choice. Today punters will mostly be familiar with Danny Boyle’s 1996 film, still regarded as one of the greatest in British cinema history, but this is a simpler, darker story. There is no heist element, fewer flights of fantasy. Harry Gibson’s script follows Renton’s struggles with heroin addiction and the often humorous, sometimes tragic effects of this on the handful of lives around him. It is brimming with violent energy, humour and no small amount of anger. Welsh’s book and Gibson’s play are perched right on the knife edge between humour and horror. At various points during last night’s production the audience was split between raucous laughter and stomach-churning fear. Sticking your hand down a filthy toilet to retrieve a freshly egested suppository may well be hilarious, but it is also clear testimony to the devastating effects of these drugs. Tracy Ryan delivers the show at a frenetic pace, drawing dynamic performances from her ensemble cast, especially the charismatic duo of Shane O’Regan (Renton) and Lórcan Strain (Tommy). This dynamism is aided by a stage decorated with just a recessed scaffolding platform allowing ample space for John Gallagher’s stark lighting. At best this sparseness is unoriginal, but at worst it actively undermines the power of the play, distancing or confining some of its most important and harrowing moments. And she’s right. Trainspotting may well be uncomfortable viewing but it is necessary viewing. There can be no doubt that the issues faced by Renton et al have certainly not been overcome. Though originally performed in 1994, it is still as relevant as ever and retains an immensely violent, anarchic and charismatic power.